April brought no showers which made May short on flowers. I really like flowers. I just love how they look and smell. I just hate to get dirt on my hands! I know it’s one of those quirks, but anything ‘powdery’ on my hands just drives me crazy! I have to wash them almost immediately. Therefore, I can look but not plant. Not in real dirt anyway. Traveling back from Ruidoso the other day, we made a stop at Hondo Iris Farm. Every trip up or down the mountain I pass the sign with a longing look. This trip the timing was right, the iris were in bloom and we stopped. Stepping into the yard took me back to summers at Grandmother and Granddaddy’s house. There were some daylilies but mostly iris. Most of them were in full bloom. The colors were magnificent and ranged across the spectrum. There were white ones and black ones. 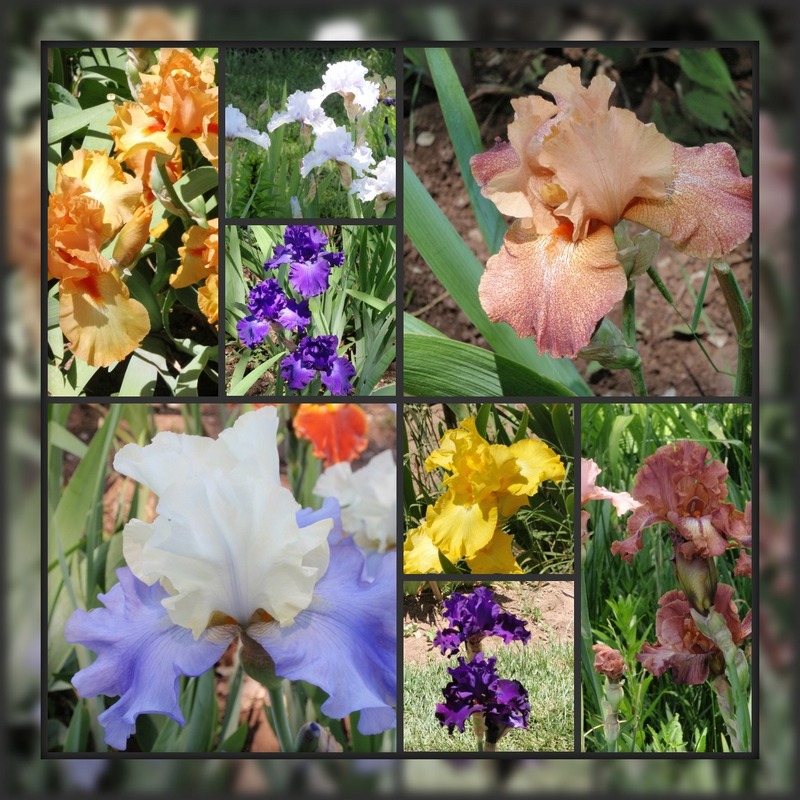 There were orange, yellow, pink and purple iris. There were maroon and dark red and coral ones. There was a picnic table in the middle of the garden and a group was celebrating someone’s birthday. I thought how nice it would be to be able to go outside in your yard and view the sea of color. My grandmother was a gardener. 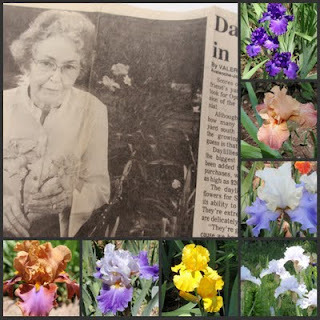 She raised some vegetables and fruits but she really liked flowers, especially daylilies and iris. I was cleaning out some papers and ran across an article about her and her flowers. The article was interesting. It was talking about her daylilies. It said she had, at her best guess, over 4,000 plants. She said there were over 30,000 varieties that had been named and introduced and she had 200 named varieties. Many she had developed herself by cross-pollinating to create a new flower. She would sometimes let my sister and I cross-pollinate. Often the results were pretty but other times she didn’t like the look or the texture and she would throw it away. She was particular! I don’t know the people who live in Grandmother’s house now. I pass by occasionally and wonder if there are still flowers behind the fence. And I think not, because you have to have a passion for such things. I think the passion for those flowers might have died when she did. If the flowers are gone I’m not sure the new owners know what they missed. Girls have picked them every one. Thinking of iris made me want to knit something purple. If I’m lacking on a color I guess it would be purple. I took a look but nothing struck me. I did finish the blue/green bias shawl...again. I like it this time. And I just remembered I'm working with some variegated yarn and it does have purple in it. It’s just easy television knitting. My knitting friend, Beverly, made some cute knitted flowers that you hang on your luggage so you can see yours when it comes off the plane. I liked hers a lot. I guess since I can’t get dirt on my hands I can knit flowers! Green and blue bias shawl. I know the dayliles were her favorite, but I thought it was a waste to spend all that time on a flower that only stayed open one day! The iris were always my favorites, mine have all died out now, but you have me looking at catalogs thinking about where I would put them, and what colors I want!